Blend the dressing with a whisk in a bowl large enough to accommodate all of the potatoes. Place potatoes in a large pot and add enough water to cover the potatoes. Cover with lid, bring to boil and cook 20-30 minutes until knife easily pierces the center. Cool slightly, peel and cut into at least one inch chunks. While the potatoes are still warm add to dressing toss, cover and refrigerate for several hours or overnight. Bring to room temperature before serving. 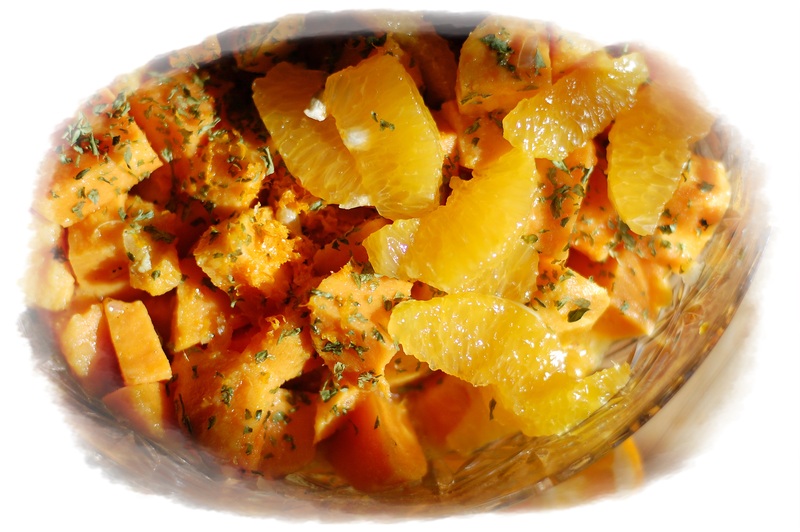 Garnish with fresh chopped parsley and a little of the orange and lemon zest.